“It’s a good question, and I don’t have an answer for it”. And so begins Pressing On, a veritable love letter to letterpress printing, a manifesto for keeping the machines working, the knowledge shared and the type in use. “You go into your own world and it's a world of your own making” claims one dedicated type archivist. 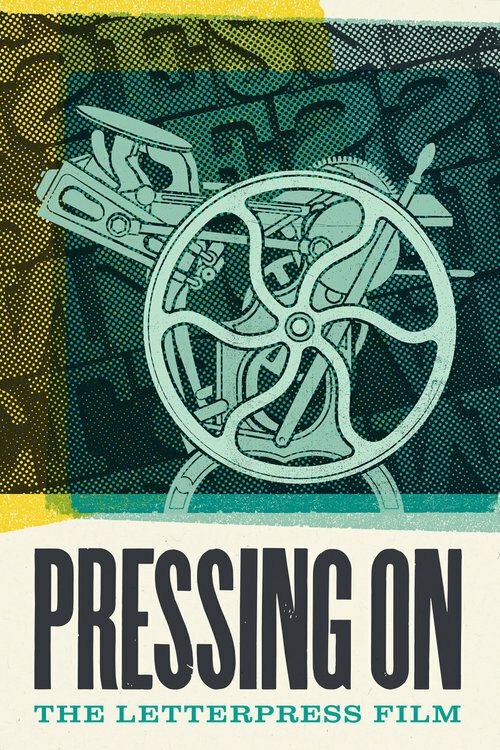 The connection with the past is evident throughout the film, with anecdotes by many on their first brush with letterpress, be it through broadsheet newspaper printing, Hatch Show Print posters for their favourite bands and so on. There is a real sense of the passion for preserving the machines, passing on the knowledge and ensuring the craft continues to be used in generations to come. From basements, garages and outbuildings, the film explores the worlds of the collectors and the modern day print shop alike. Both having plenty in common, their love for the machines and moreover the “joy of the hunt, it’s always the hunt” as one collector explains, “it's a form of 21st century archeological digging – but you have to watch yourself, its a sickness almost”. “The reason that the machines are still working after 100 years is that they don’t rely on transient technology, they just need caring for and most importantly using – they get grumpy and let you know if you don’t look after them.” The atmosphere of the film is awesome too, the immersive sounds of the machines mixed with artistic cinematography makes you feel that you can almost smell the ink. An inspiring and thought-provoking watch.